A great gift so you don't get mixed up with which side of the bed you're on! You can personalise this pair of pillowcases with the couples surname up to 12 characters in length. The words 'MR' and 'MRS' are fixed. All personalisation will appear in UPPERCASE. Ideal for Weddings, New Home. 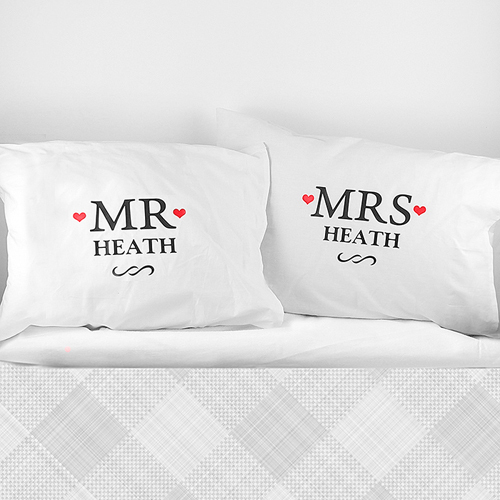 Personalise this pair of pillowcases with the couples surname up to 12 characters in length. The words 'MR' and 'MRS' are fixed. All personalisation will appear in UPPERCASE.